One spider, two spiders, three spiders, four! 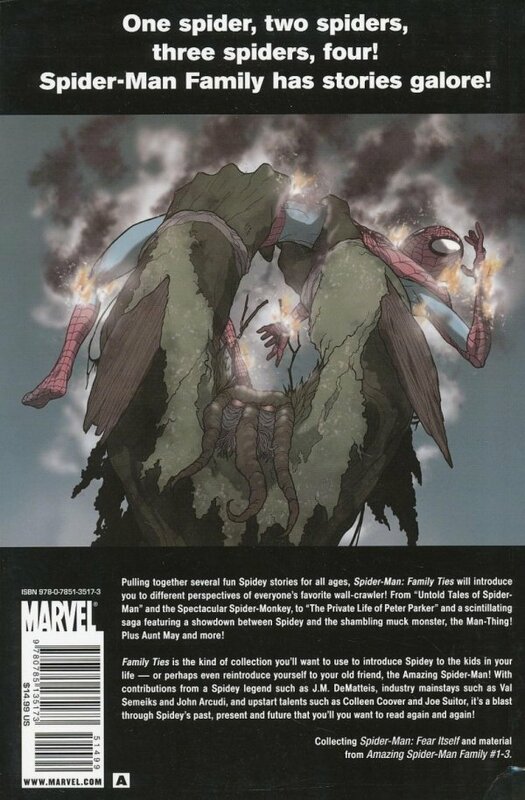 SPIDER-MAN FAMILY has stories galore! Pulling together several fun Spidey stories for all ages, Spider-Man: Family Ties will introduce you to different perspectives of everyone's favorite wall-crawler! From "Untold Tales of Spider-Man" and the Spectacular Spider-Monkey, to "The Private Life of Peter Parker" and a scintillating saga featuring a showdown between Spidey and the shambling muck monster, the Man-Thing! Plus Aunt May and more! 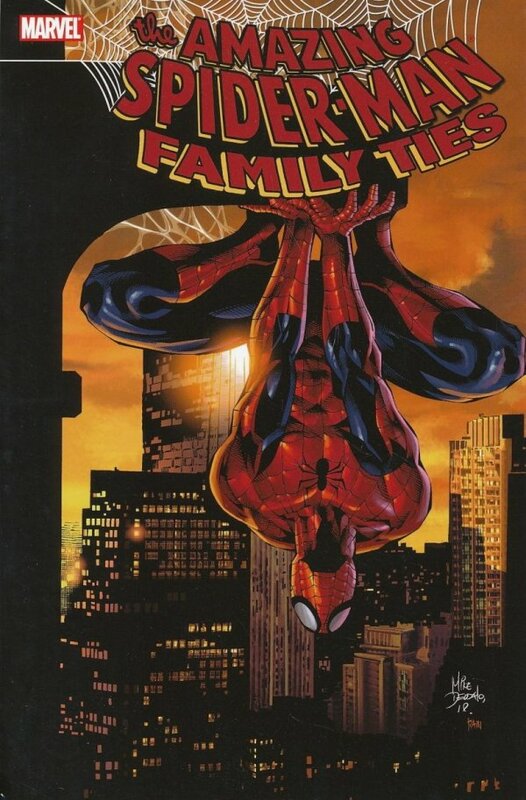 FAMILY TIES is the kind of collection you'll want to use to introduce Spidey to the kids in your life - or perhaps even reintroduce yourself to your old friend, the Amazing Spider-Man!